Highlights: The tree houses are charming little place to spend some quality time with your special ones, generally unwind, and feel close to nature. 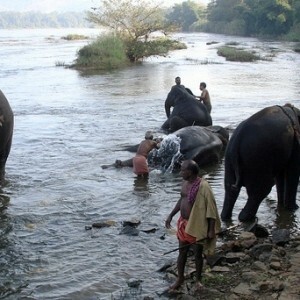 It’s definitely a unique experience, if you are a nature lover we Keralatoursglobal.com, sincerely recommend it. Different moods of nature, the misty winds, golden sunshine through the leaves, the gurgling water, and the magic of the monsoon, the magnificence of various birds and butterflies and the occasional sightings of wildlife are the attractions when you are in right location. Serene and blissful surrounding will offer you lots and lots of fresh air also. On arrival at airport railway station we transfer you to the resort. And check in while enjoying with your welcome drink. Get refreshed and free at leisure with own activities. Tree House weekend offers ultimate privacy to you and your companion, only the birds and trees & breeze and stars are there to peep in to.Enjoy the different moods of nature, the misty winds, golden sunshine through the leaves, the gurgling water, and the magic of the monsoon, the magnificence of various birds and butterflies and the occasional sightings of wildlife are the attractions when you are in right location. Serene and blissful surrounding will offer you lots and lots of fresh air also. All these melodious experiences bring the couple close each other. The 2 nights and 3 days will pass soon by enjoying all these and relishing with the traditional Kerala cuisines. Tree Houses were initially used by tribal people for self defense, hunting and as watch tower to protect their agriculture. Now it became one of the many other tourism products. Different kinds of Tree Houses are there in Kerala, Some looks purely natural whereas others are modern. Some are higher like near the top of the tall living trees, spacious and airy rooms with bathrooms and even balconies that offer commanding views of the forest. Where you have to use crude elevators made of cane basket for check in to the room where as others are lower than that & you use simple steps or ladders to board in. Tree house with hanging bridge to enter in is also there. But all are offering the same privacy & safety. And in facility wise some are very luxurious while others are simply luxurious. And both may not have TVs in the room. Tree houses are built on living trees, with all the comforts. While staying, you can experience the different moods of nature, the misty winds, golden sunshine through the leaves, the gurgling water, and the magic of the monsoon, the magnificence of various birds and butterflies and the occasional sightings of wildlife. Serene and blissful surrounding will offer you lots and lots of fresh air also. Generally Tree Houses are made at a height of 60 to 115 feet from the ground. The materials that used for constructing these houses are all Eco-friendly including coir mats, bamboo poles, hay straws, live trees etc. It is well furnished attached bathroom & toilette (with modern amenities), and balcony. In Kerala you can find Tree Houses in hill stations and nearby areas only. Wayanad, Thekkady, Munnar and Athirappally waterfalls are the places where tree houses are available. 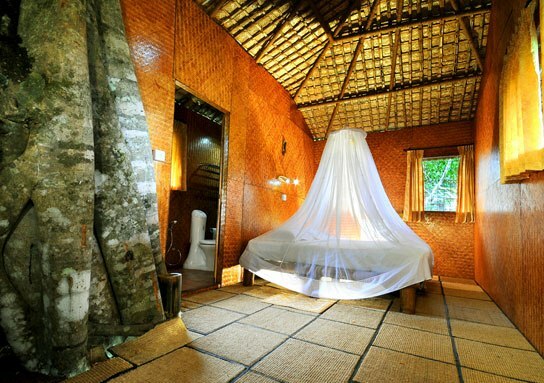 And Tree Houses are ideal for honeymooners; as this offers ultimate privacy, only the birds and trees & breeze and stars are there to peek in to. Different moods of nature, the misty winds, golden sunshine through the leaves, the gurgling water, and the magic of the monsoon, the magnificence of various birds and butterflies and the occasional sightings of wildlife are the attractions when you are in right location. Serene and blissful surrounding will offer you lots and lots of fresh air also. All these melodious experiences bring the couple close each other. 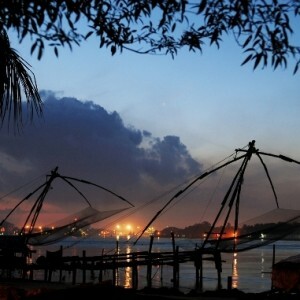 The 2 nights and 3 days will pass soon by enjoying all these and relishing with the traditional Kerala cuisines. Many Tree Houses managements provides the facility of Ayurvedic massages as well, which are rejuvenating as well as healing. These therapy is more beneficial for the body when you are more close with the nature and the Kerala’s lower temperature.